Good first post, thanks for sharing with the community. My old Techwood plasma didn't give up on me until it served 10 years of service so I'd say this is a good enough brand. The price is also decent enough given that there's a £30 cashback on top. Good find op. Really tempted here. I'd get one if I did't have two spare FHD of similar size sitting around collecting dust already. that are *confirmed* as being good enough for the BBC's 2017 uhd / hlg 4K list!!! 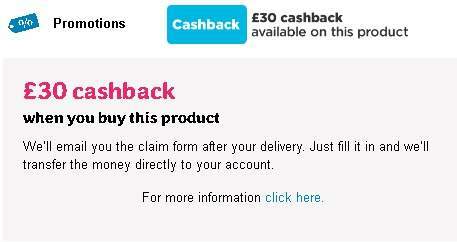 Well its says this in the terms and conditions on AO regarding cashback. 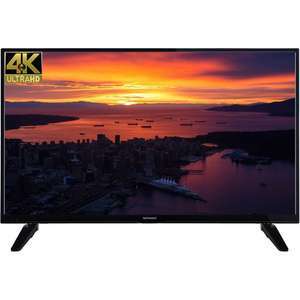 Can anyone with an earlier version or this version of this TV tell me if it does proper PC display support - entailing (as I understand it) 4:4:4 colour (RGB 16 bit) and 4k 60Hz support over HDMI 2.x please? Decent price. Thinking of getting this just for gaming on PS4 , Xbox one. Can't find any info on response time? Anyone? Either in the basket or at checkout, can't remember which. I've ordered one and rang to confirm that the £50 is refunded to your bank account after you submit a form to them post delivery. Either in the basket or at checkout, can't remember which. I've ordered …Either in the basket or at checkout, can't remember which. I've ordered one and rang to confirm that the £50 is refunded to your bank account after you submit a form to them post delivery. Just bought a 49 inch with 50 £ cashback, thank you. Deal posting newbie! This is Redsky18 first deal post. Help out by leaving a posting tip or just to show your appreciation for their contribution.